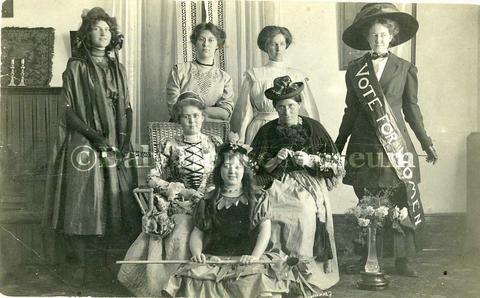 Photographic postcard of the cast members of a play regarding the women's early struggle for voting priviledges by Brandon College Students. Woman pictured on the right side of picture is wearing a banner that reads: "Vote for Women." Photograph was taken in Clark Hall.